Stock # 2923, 6.0L Vortec 6000 V8 SFI Engine, Automatic, 126010 mi. 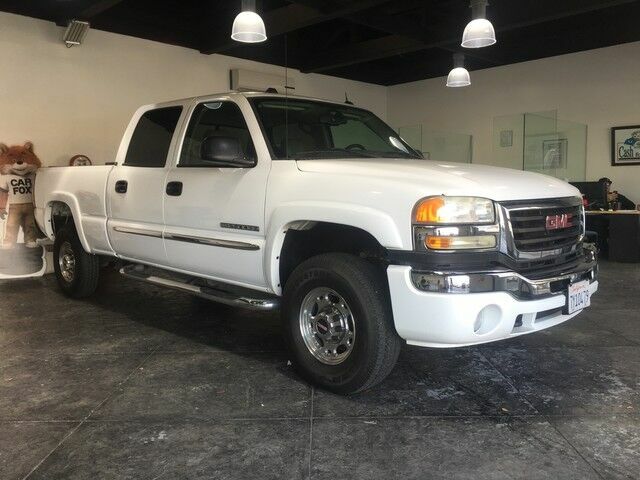 This 2005 GMC Sierra 2500HD SLT is offered to you for sale by Cash for Cars. This vehicle is loaded with great features, plus it comes with the CARFAX BuyBack Guarantee. This low mileage GMC Sierra 2500HD has barely been touched. It's the next best thing to buying new. The quintessential GMC -- This GMC Sierra 2500HD SLT speaks volumes about its owner, about uncompromising individuality, a passion for driving and standards far above the ordinary. A truly breathtaking example of pure vehicle design achievement...this is the vehicle of your dreams! Sound system feature steering wheel mounted radio controls Radio and Driver Information Center (DIC). Provides access to enhanced Driver Information Center features and information.